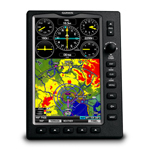 ALTIMETER/TRANSPONDER TWO YEAR IFR CERTIFICATIONS AND RVSM CERTIFICATIONS I/A/W/YOUR CURRENT RVSM STC MANUAL. LEARJET 24 MONTH PITOT PROBE ALIGNMENT CHECKS. YOU CAN GO DOWN THE RAMP TO GET THE RED CARPET SERVICE AND PAY 3 TIMES THE PRICE OR HAVE TROPIC RADIO/TROPIC AERO AVIONICS PERFORM YOUR NEXT FAR 91.411 / 91.413 RVSM INSPECTIONS AT GREAT SAVINGS!!! 12 MONTH AVIONICS ANNUAL INSPECTION I/A/W YOUR APPROVED INSPECTION MANUAL /AAIP .